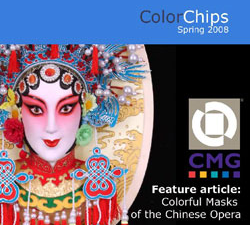 While the cultural meaning and symbolism of color in China has been significantly influenced by the principles of Feng Shui, the masks of the Chinese opera use color to offer a more expressive point of view. 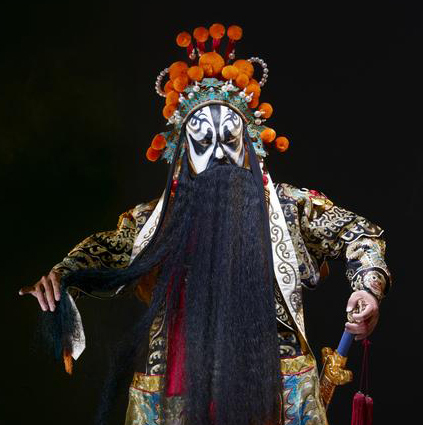 Elaborately decorated with color and patterns, masks have been used in Chinese opera for over a thousand years. However, it was during the Qing Dynasty (1644-1911) that the colors began being used consistently to represent certain personality traits and human characteristics. In Chinese opera color takes the audience on a magical journey where it not only lights up the stage with an array of radiant hues; it also stirs up specific emotions and allows the audience to feel and understand the story being told. 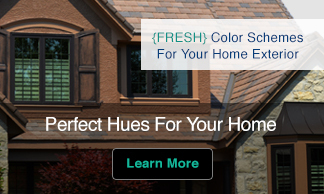 Color is used to quickly connect the audience to each character’s traits. In fact, the audience often feels such an instant and intimate understanding that you might even say that the colors are the characters. Red in Chinese opera, like in Feng Shui, carries a traditional well-loved radiance. The color red in an opera is understood to symbolize positive traits such as intelligence, heroism, integrity and loyalty. And when the art or costume director tires of red on stage, he or she can bring in the slightly less utilized color purple. Purple conveys the same positive perception as red, but with the added attributes of respect, sophistication, nobleness and a sense of justice. When black is used as the foundation of a mask on stage it is seen as a neutral. A black face represents characteristics like impartiality with a hint of altruism. 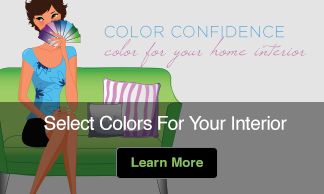 Add in traditional bravery and a bit of stubbornness and you have a character depicted by the color blue, which in the opera may represent a certain level of vigor coupled with audaciousness. The person wearing this mask might be a spirited young person who remains in love despite the consequences. On the other hand, the color yellow without dispute portrays characteristics like treachery, ferociousness, and the character’s overall performance will be marked by slyness. The audience can rest assured that masks of this nature represent the adversary to the red or blue-faced protagonist. But how does yellow, which in Feng Shui represents imperial power and desire for absolute rule over the earth, relate to this seemingly negative connotation in Chinese opera? The connection is that often the pursuit of power can bring forth negative traits like deceitfulness and unjust measures. In light of this, a noble character might be shown with yellow instead of purple, connecting their nobleness with the traits of a corrupted ruler. Though monsters and gods are not always present in Chinese opera, when they are present they provide a sense of mysticism and are represented by the metallic colors, silver and gold. It is the absence of other colors on the mask of these feared but revered characters that bring audience members, even those the don’t understand Mandarin, to conclude this character is unique and mysterious. The lack of color is also found in the ‘petty’ mask. This is a mask is painted only in black and white and covering only half of the face of the actor wearing it, playing on the imagery-inspired emotion of the audience. Due to being only half hidden behind a mask, this character’s presence is detached from the others on stage, thereby visually leading the audience to suspect ambiguous intentions. Because of this, the petty face can represent secrecy, mistrust, while at the same time being is allowed to win the audience’s affection by conveying humor and wit. In one popular opera, The Story of the White Rabbit, a very poor young man named Liu Zhiyuan, raises himself out of poverty by becoming a soldier and then marries the very just noblewoman Li Sanniang, who does not let social class interfere with love despite the consequences. In this story, the beautiful Li Sanniang is usually portrayed in purple while her royal counterparts are presented in yellow signifying her fairness to the poor as a counterpoint to the other nobles’ attitudes of pity. The soldier Liu may wear gray at the beginning of the opera to symbolize his poverty but as the play progresses he would most likely transition to wearing red. In the end it is a white rabbit, representing purity, that reconnects, the now ruler, Liu with the family from which he came. So, if you find yourself in a Peking opera don’t worry if you don’t understand Mandarin, allow color to be your translator and guide you through the performance. i am a chinese , i knew and i love our top art chinese opera. your article relates color to The Opera is fun ,yeh, maybe we have more detail explanation, but your explanation is very interersting, especially the Rabbit Story.GOOD! Thank you very much, Isabella!